Meow's mother is from Thailand (not to be confused with Taiwan - those people have Chinese roots no matter how much they try to deny it) but she doesn't do much Thai cooking, though we all love Thai food. With the increasing abundance of Thai ingredients, Meow is now able to recreate some of my favourite Thai dishes at home - sans the insane "Welcome to Thailand" level of spiciness. 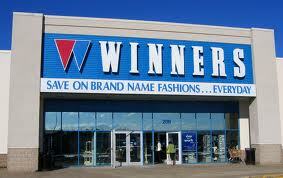 Winners is a wonderful place for cheap designer label stuff including housewares and cookbooks. Many a times, Mr. Meow and I have scrounged the aisles of Winners finding gems of cookbooks for half the price, including the two volume set of Julia Child's The Art of French Cooking. The recipe for today's satay also comes from the "winnings" of our trips to Winner's. 1. Soak the wooden skewers in cold water for about an hour before threading the meat, this prevents charring of the sticks. I cheat and use this, close enough. But if you are so inclined as to make your own, go ahead. 1. Drop all the ingredients into a food processors to further chop, you may finish by using a mortar and pestle to grind the paste. Makes 1/2-3/4 cup of paste. You can divide the remainder and freeze in plastic bag. Best to make this at least an hour or up to 8 hours ahead so it has time to marinade. 1. Slice the pork into thin slices about 1" x 1/2"
2. Put the pork into a marinating bowl. 3. Add ground coriander, ground cumin, fish sauce, salt, peanut oil, curry powder, turmeric, coconut milk, and sugar. 5. Cover with plastic wrap and refrigerate to marinate for 1 to 8 hours. 6. Preheat a broiler or outdoor grill. Wear a glove if you have one so your hands won't stain like hell. 7. Thread 2-3 pieces of pork onto each skewer. You need to make at least 2 passes on each piece of meat so it will stay on. 8. Brush the remainder of the marinate onto the meat as extra. 9. Grill or broil the satays until the meat is cooked through, 6-8 minutes, turning to make sure they are browned on both sides. I didn't have roasted peanuts at home, so I used this as substitute. 1. Heat oil in a skillet until a light haze appears. 2. Add the chopped garlic and saute until golden brown. 3. Add the curry paste, mix well, and cook for a few seconds. 4. Add the coconut milk, mix well, and cook for another few seconds. 5. Add stock, sugar, salt, and lemon juice and stir to blend. 6. Cook for 1-2 minutes, always stiring. 7. Add the ground peanuts, stir thoroughly. 8. Pour the sauce into a dipping bowl. Serve the satays with lemon of lime wedges and peanut sauce. Meow made the mistake of marinating these overnight. The result was the spices became over powering. It wasn't unpleasant, but just wasn't what we were used to. To each their own. The dipping sauce though, I've always find it a lot easier if it was poured onto a small plate and the roll the satays in the sauce. And it is also less dangerous to pry the meat off the skewer with a fork rather than trying to pull it with your teeth.